In the coming weeks, the Oakland Unified School District’s Board of Directors will likely be making tough decisions to close some Oakland schools. As the Board embarks on this process, we at Great Oakland Public Schools (GO Public Schools) have been hearing from our network of parents, teachers and community members throughout Oakland and are writing to share their appreciations and concerns—particularly regarding three areas: (1) transitioning families, (2) receiving schools and (3) financial considerations. We write with humility regarding the task ahead. It is the hope of the GO network that by further addressing the concerns below, the Oakland education community will be able to manage a difficult process and emerge better able to serve children. We agree with the district staff that the “real work” begins after the closure list has been finalized. First, we appreciate the thoughtful criteria developed by district staff and passed unanimously by the board. We appreciate the leadership required of board members, Superintendent Smith and district staff to grapple with and make tough decisions regarding school closures. We are also deeply appreciative of the district staff’s responsiveness to feedback—in particular, David Montes de Oca of the Quality Schools Development Group. Based on our conversation with teachers, parents and community, GO—in an open letter to the board—asked the district to further clarify its approach to three issues: (1) transitioning families, (2) receiving schools and (3) financial considerations. GO’s network shares OUSD’s concern about supporting transitioning families to make the best decisions for their children and ensuring that their children are set up for success at a new school. 1. What is the specific action plan (including timelines, funding, number of staff, etc.) for supporting and communicating with transitioning students and families who participate in the options process? Will students from closing schools be given preference in the options process, especially for in-demand schools? Will OUSD give transitioning families information about high-quality charters in their neighborhood? How many students does the district estimate will move to charter public schools as a result of this process? What steps will the district take to sustain enrollment in district schools throughout this process? Our understanding is that the district has budgeted for, but not hired, five family engagement specialists. Can their hiring be expedited to support transitioning families? 2. How will families be placed who don’t participate in the options process? 3. In neighborhoods where two different academic programs are being replaced by one academic program, how will the district ensure that families have access to at least as high a quality program as the kind they currently participate in? The GO network is concerned with ensuring that receiving schools (those schools which will receive students from closed schools) will either remain or become high-quality schools as they increase in size. 1. What specific supports (including timelines, funding, number of staff, etc.) will be given to schools receiving students to ensure they are strengthened as a result of this process? Which specific schools have been identified as “receiving schools” and will receive supports? Who has the decision-making power regarding how much larger these receiving schools will become following the closures? Will school communities decide or will these numbers and targets be set by the board or central office? What steps will be taken to ensure that receiving schools can expand to serve larger numbers of kids effectively (e.g. a school might have a counseling services partner that is limited to serving 35 students and might not be able to maintain quality with more students)? 2. How will staffing issues, such as priority placements, be handled to improve student outcomes? Will the district use mutual consent placements (meaning that both the principal or school hiring committee and the teacher have to agree to the teacher’s placement) during the school closure and transition process? 1. What are the actual cost savings associated with closing each school? Overall? In the first year? Projected over five years? 2. Is the board committed to ensuring that financial savings that result from the closures will be allocated directly to school-site budgets? GO and its network of supporters acknowledge the difficulty and complexity of this issue as well as the courage and leadership it takes to address it. 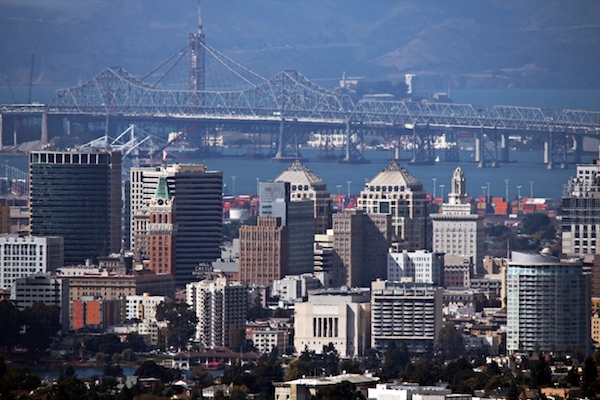 In the coming weeks, the actions of the board will deeply affect all of Oakland. Some will be affected directly through a closure of their school or by welcoming new students, teachers and families into their schools. Some will be only indirectly affected. We all share the hope and responsibility to ensure that Oakland’s children will remain at the center of every decision and they will be better served because of this process. Marc Tafolla is the policy director at Great Oakland Public Schools (GO Public Schools), a nonprofit organization working to advance the quality of education in Oakland schools and ensure access for all students.